Caption: Thomas So, President, Law Society of Hong Kong, and Morry Bailes, President, Law Council of Australia. "When justice is denied to some, we are no longer the democracy we want to be. We need to maintain the fabric of a truly democratic society and, for that we rely on the law. Law Council of Australia President, Morry Bailes told a strong and attentive audience at a Symposium on Constitutional Law in Malaysia recently. Mr Bailes delivered the speech entitled Access to justice in Regional, Rural and Remote Australia at the Malaysian Bar’s two-day conference, held jointly with the Commonwealth Lawyer’s Association. Law Council CEO, Jonathan Smithers also spoke at the conference on the role of Bar Associations and Law Societies in upholding the rule of law. The Malaysian Bar President, George Varughese, outlined the role of the Judiciary and stressed the importance of upholding the Rule of Law in his speech at the Bar Council Dinner on the Occasion for the Opening of the Legal Year. He also outlined the Bar’s priorities for 2018 and included both the abolition of the death penalty and increased child protection through the Sexual Offences Against Children Act 2017 among others. 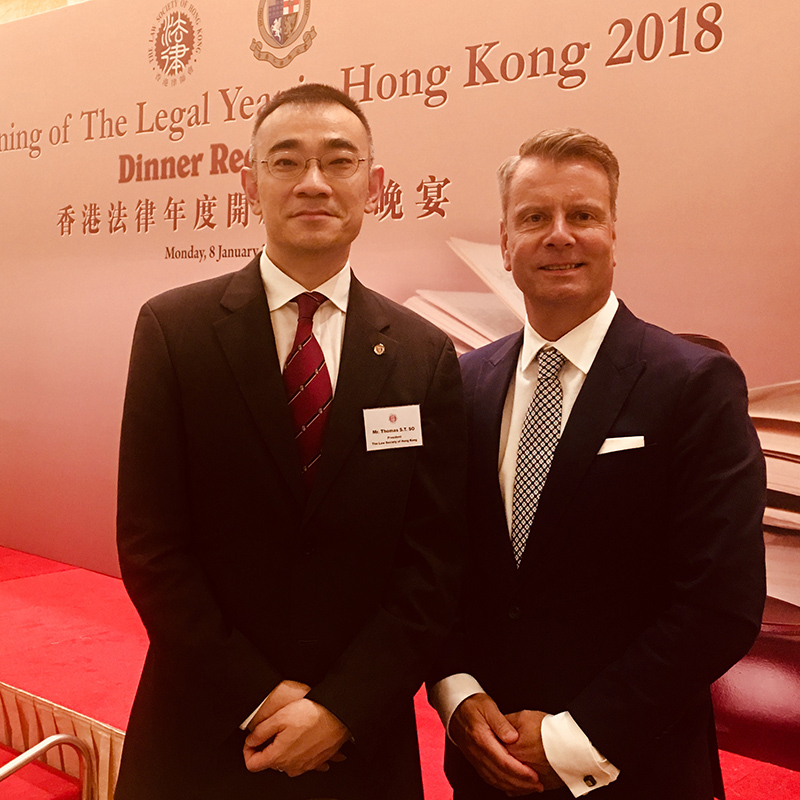 Law Council President Morry Bailes also attended the opening of the legal year in Hong Kong where he discussed discuss issues facing Australian legal practitioners, as well as challenges to the rule of law & human rights in Hong Kong. The President of the Law Society of Hong Kong, Thomas So, gave an address that focused on embracing technology while ensuring Judicial Independence and the Rule of Law. Mr Bailes’ Hong Kong visit, coincided with Mr Smithers attending the opening of the legal year in Singapore where he spoke about the case for convergence in commercial and civil law from both an Australian and UK perspective. He also spoke about business and human rights arguing that international standards in business were essential as a precursor to ensure that the benefits of globalization were shared by all.